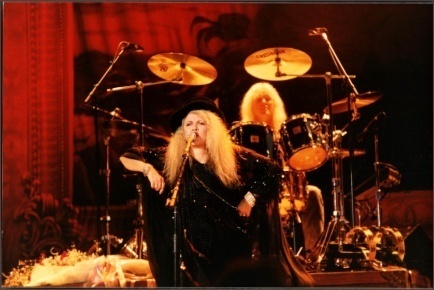 This stevie nicks photo contains baterista, show, and concerto. There might also be guitarrista, violonista, tympanist, timpanist, timpanista, bombo, casa gran, gran casa, and bumbo. Dramatic colours,I love them !